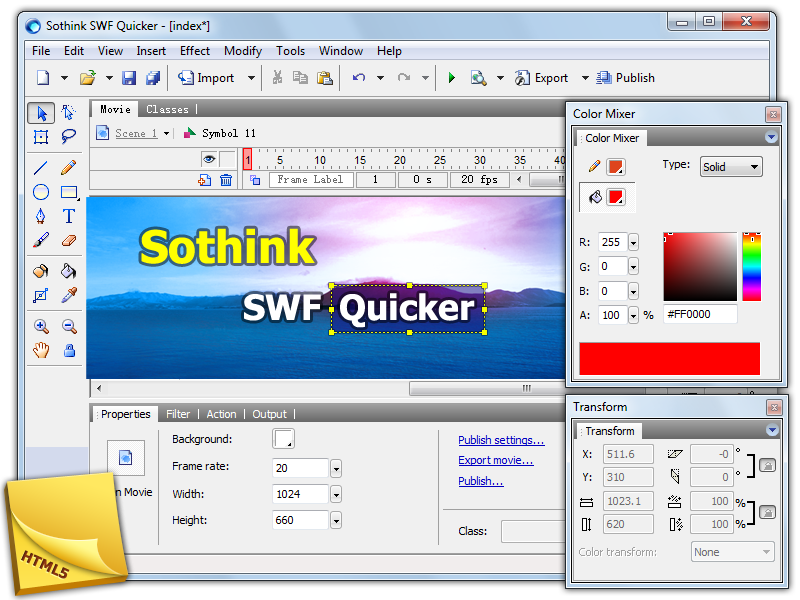 SWF Quicker (www.sothink.com/product/swfquicker/index.htm) is the leading Flash SWF editor. It is the best flash animation editor to edit SWF or create Flash animations from scratch. Compatible with Windows 7, SWF Quicker supports Flash CS4 (V10) and AS 3.0; supports exporting movies to SWF, EXE, GIF, AVI, or Flash Lite 2.0, 2.1 and 3.0; provides same vector editing capability as Adobe Flash with lower cost. Convert SWF to GIF and AVI, and AVI to GIF. Versatile Flash Maker and SWF editor to maximize your Creativity.